Calls coming into the City reporting downed City trees or tree debris are being entered into Cityworks for review by our Operations/Trees Supervisor, Kim Nihls, who is prioritizing these requests according to public safety. Please keep in mind that we service City trees only, including those that have fallen onto private property. Property owners are responsible for clearing their own trees. Private contractors can assist property owners who are unable to manage the debris themselves. If citizens are not sure if a fallen tree is a City tree, they can call the contact centre at 519-741-2345. Kitchener-Wilmot Hydro has managed to restore power to all customers except those customers who require on-site service repairs, and those are expected to be restored today. 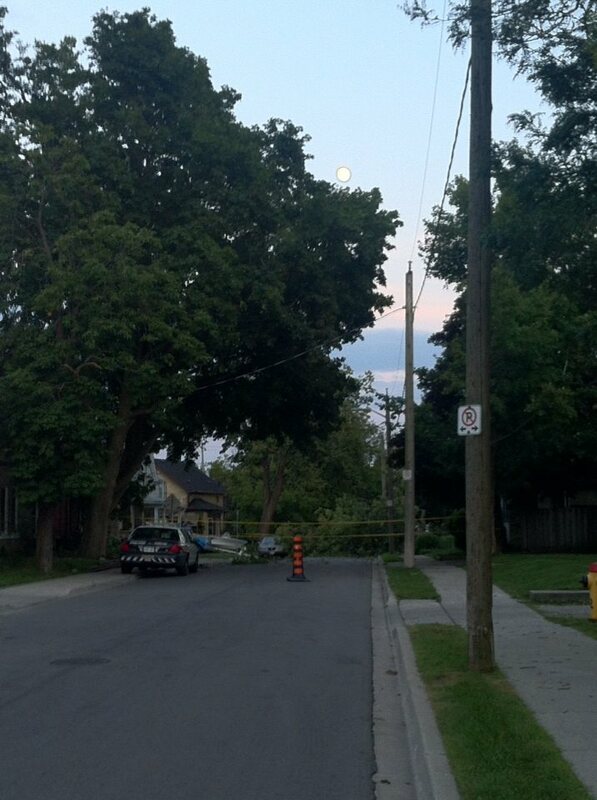 Please remember that City staff cannot remove tree debris if there are hydro wires caught in the trees. Anyone reporting downed wires, trees or debris caught in wires should be directed to call Kitchener-Wilmot Hydro directly at 519-745-4771. Yard waste collection in Kitchener is scheduled for the week of July 22-26 and Aug 5-9. Bundles should be less than three-feet in length and weigh less than 50 pounds. Residents can check the Region’s website at www.regionofwaterloo.ca for questions or call the call centre number at 519-883-5100. Under no circumstances should our leaf collection drop-off sites be used to dump tree debris. Contact Centre. Please do not hesitate to transfer residents to the contact centre for more information on the status of the storm clean-up. Or, if you have any questions or concerns not addressed in this e-mail they’d be happy to assist.